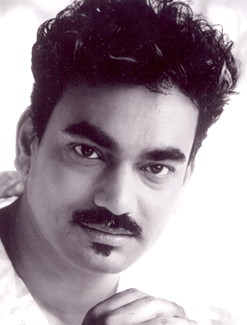 Known for his exquisite silhouettes, styling and innovative use of fabrics, renowned fashion designer, Wendell Rodricks is all set to charm the fashion world with his ‘Himalayan Live Natural’ collection at Lakmé Fashion Week Winter/Festive 2011. The much-celebrated designer will present an exclusive organic collection inspired by water and one of its natural sources, the Himalayan range. Wendell’s collection will be presented by Himalayan Natural Mineral Water, the Official Water Partner for LFW. Made with natural and organic materials, his creations will draw from the explosion of life and motion that denotes water. Speaking about his collection, Wendell Rodricks said, “Water for me not only symbolizes life but also home. Its motions and stillness have never ceased to inspire me. While the ocean has played an important part in my earlier collections, this time I am drawing inspiration from another source of water, the majestic Himalayan range”. “I am extremely pleased to partner with Himalayan Natural Mineral Water for LFW; and my collection is in sync with the brand ethos of Himalayan with extensive use of natural and organic fabrics”, he added. Ashok Namboodiri, Chief – Sales & Marketing, NourishCo Beverages Limited, said, “Himalayan, as a brand has been associated with Lakmé Fashion Week for a number of years; and we are delighted to take it to the next level this year by not only being the Official Water Partner but also the proud presenters of Wendell Rodricks’ ‘Himalayan Live Natural’ collection. Wendell’s creations are known for their fluidity and meticulous use of natural material, which reflect our brand values and offering – Natural Mineral Water”. Lakmé Fashion Week Winter/Festive 2011 will be held from August 16 to August 21, 2011 at Hotel Grand Hyatt, Mumbai.